Stephanie Naudin believes that inclusion is the key to successful business. The terms ‘diversity’ and ‘inclusion’ are often used interchangeably. There are nuanced differences, however, between the two words. In a business school context, diversity refers to the make-up—who the student body is consists of. This can be measured through the nationalities of the students, or the gender split. Inclusion, however, is more intangible. It’s about how the diverse population feels, whether they are given equal access, opportunities, and treatment. 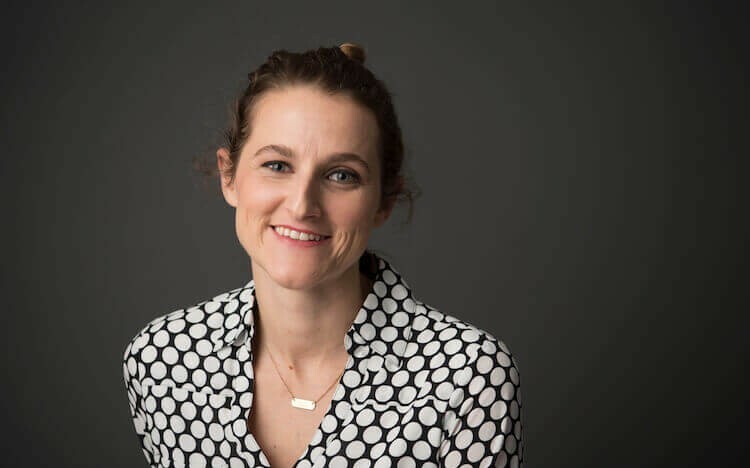 “Diversity is the mix, inclusion is making the mix work,” says Stephanie Naudin, International MBA student and student services coordinator at the International School of Management (ISM), a business school based in France, with partner institutions on four different continents. Progress for diversifying is slow but positive—between 2005 and 2015, the average percentage of female students at business schools rose from 30% to 34%. ISM’s female intake is currently 44%, with 32 nationalities on the course. While the International MBA is centered in Paris, students get a chance to study on partner campuses in New York, Shanghai, Sao Paolo, New Delhi, and Cape Town. Inclusion and diversity are viewed not just as necessary but as driving business growth. “It’s about ensuring everyone is succeeding at the same rate,” Stephanie says. Business schools are increasingly international, as more students opt to study MBAs abroad—whether this is to expose themselves to different business cultures, to tap into growing economies, or to explore business from a global perspective. The International School of Management (ISM) is an example of this. “A lot of schools say they are international and diverse, but in name only,” says Alison Knight (pictured), general director at ISM, who points to the 132 nationalities represented in the faculty and student body. Alison first explored the importance of diversity and inclusion in her previous training and experience in social work. The link to higher education quickly became obvious. “I was trained to look at the bigger structural issues, and how that affects people on an individual level,” Alison notes. As Alison suggests, the focus for inclusion then has to center around the individual—treating each person’s needs and interests as important rather than condensing them into a whole. The International MBA program at International School of Management is self-directed, designed to suit the specific needs of students. It is available in both full-time and part-time formats, in order to fit to those who might have other time commitments. ISM’s online courses provide flexibility for single parents, for example, or people who are restricted from traveling for financial reasons. This all comes back to equal access, Alison emphasizes, allowing those to prosper who might struggle in conventional circumstances. This individual-centered approach is important for both business schools and employers. At ISM, this extends to everything from their admissions process, where students are given individual thought and attention by Alison’s staff, to diversifying the thought leadership of their faculty. A significant part of this is recognizing that “diversity and inclusion is purposeful.” Sunny emphasizes that they are more than just buzzwords. And the facts back this up. Stephanie and Alison jointly conducted a survey regarding diversity at AACSB-accredited business schools, finding that embracing diversity and inclusion has a positive correlation to business success. They found that organizations with the most gender-diverse leadership are 15% more likely to outperform the industry average, while a 10% increase in racial and ethnic diversity in business contributed to a 0.8% rise in earnings. Crucially, this diversification has to start at business schools—like the International School of Management—whose responsibility it is, Alison underlines, to make the pools of employment more diverse and inclusive.